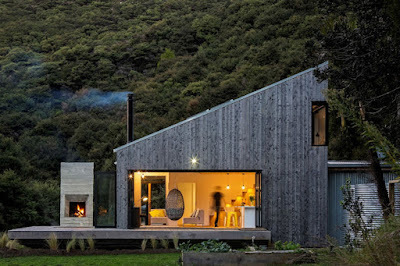 Situated in the Puhoi settlement, the Back Country House was designed by Maurice to provide a home for his own family. 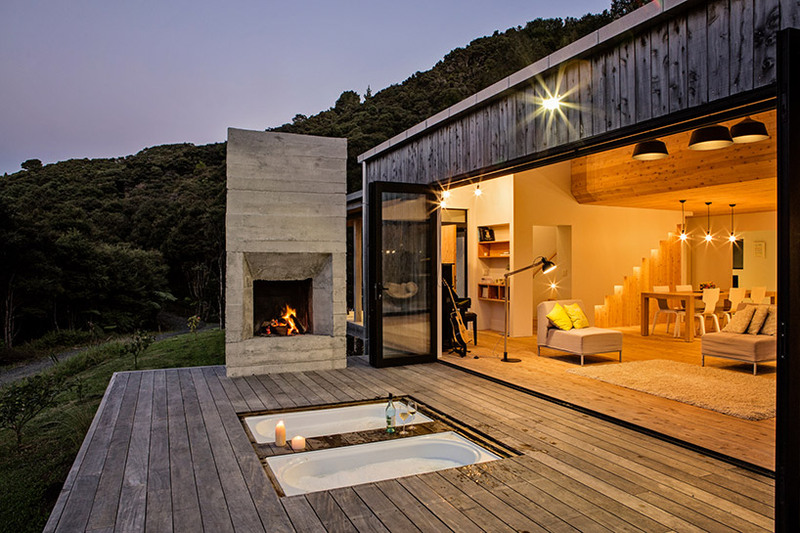 The property takes inspiration from the traditional New Zealand ‘back-country’ hut, and offers a place for simple living that puts family values at the forefront. Maurice has created Back Country House as an open plan structure, with one volume designed for spending time together whilst cooking, dining and relaxing, and additional extension buildings for bedrooms. Integrating glass panel doors leading outside, a large decking area, an outdoor fireplace and baths, the residence enhances the connection between the family, and their relationship to the surrounding rural environment.